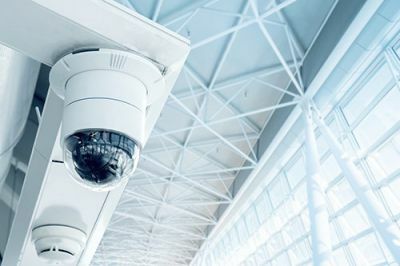 Protect your most valuable assets at your business by equipping your building with a state-of-the-art security system. Our security systems are designed to provide enhanced comfort, safety and convenience. All installations are performed by qualified personnel who are fully trained in both fire and security. There is no need to juggle multiple contractors during the design and building phase. 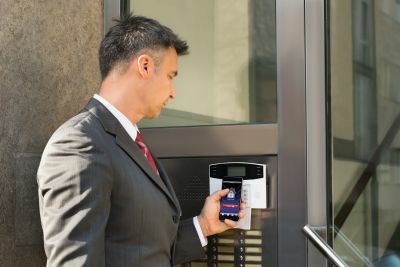 We specialize in security and monitoring, allowing you to rest easily knowing your business safe and secure. Closed Circuit Television (CCTV) is a system that allows the owner to both monitor as well as record activity on his or her property. There are plenty of options when it comes to cameras and Digital Video Recorders (DVRs). When choosing cameras, it all depends on the application, if you want to see near or far, whether you prefer color or black & white, if you want them to be seen or installed covertly, and if the recording time is day / night or both. The wide selection of DVR’s range from basic 80G hard drives to fully programmable multi-gig networkable drives with DVD rewritable capabilities. Basically, your options are endless with a CCTV camera system.